Why Isn't Nintendo Celebrating Metroid's 25th Anniversary? 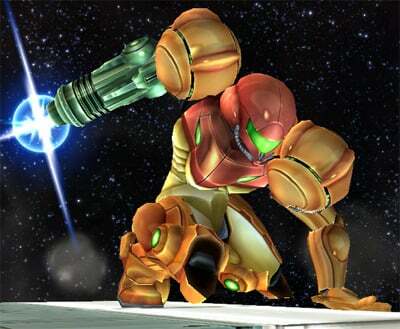 Why Isn’t Nintendo Celebrating Metroid’s 25th Anniversary? August 6th wasn’t an important day for most people. Other than being the first Saturday in August and finally showing slight relief from the massive heat wave sprawling across the U.S., there wasn’t a whole lot going on. Oh….except for the Metroid franchise turning 25 years old. It’s completely understandable for some people to forget such a momentous occasion. Statistically speaking, Metroid has always done much worse in sales than it’s iconic counterparts. Metroid Prime, the best-selling Metroid game of all time, since its release in 2002, has sold just under 3 million copies worldwide. Meanwhile, Super Mario Galaxy 2, which released just over a year ago, has already sold 6.4 million copies. Legend of Zelda: Twilight Princess, out when the Wii launched in late 2006, has sold almost 6 million copies. Things get even more confusing when considering that Metroid Prime Trilogy is currently the only game to hold a “Platinum” status from the fans on the Wii’s Nintendo Channel. It’s not even a fact that there isn’t a dedicated fanbase to the series as a whole. Metroid fansite Shinesparkers has put together a really cool tribute video featuring not only the kind words of fans all over the internet, but some high-profile video game industry celebrities, such as world renowned video game composer Tommy Tallarico. Then again, you never know with Nintendo. As we’ve seen more this year than any other year, Nintendo knows all too well how to keep a secret, and how to keep us surprised. If nothing else, Metroid has proven to have some of the most dedicated fans of any video game franchise to have been able to last 25 years and still have the ability to remain relevant. Happy Birthday, Metroid. Don’t worry, we won’t hold you accountable for Other M, as long as you never enter that experimental phase ever again.